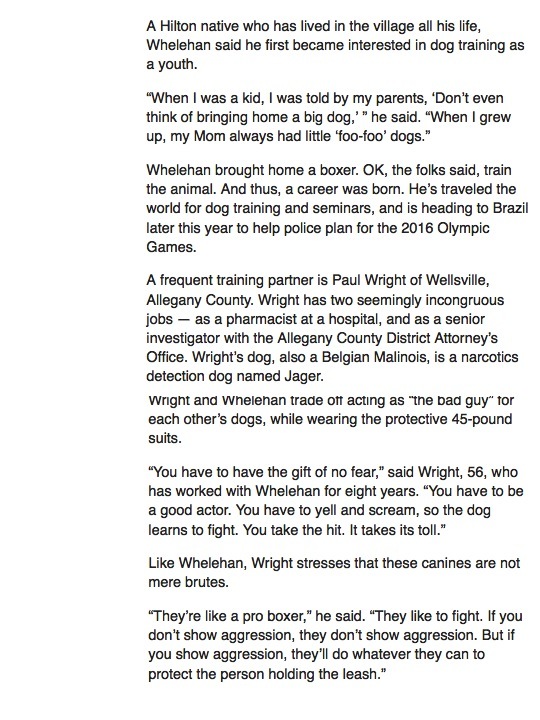 Upstate K-9 Seminar, February 2019 hitting the media all the way in New Jersey!!!!!!!! 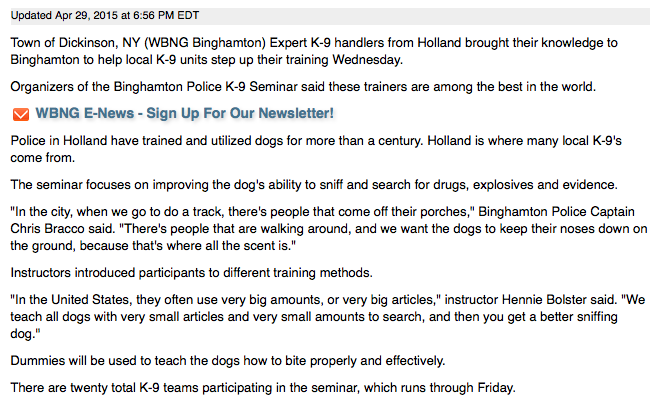 Upstate K-9 LLC for 3 day Seminar. 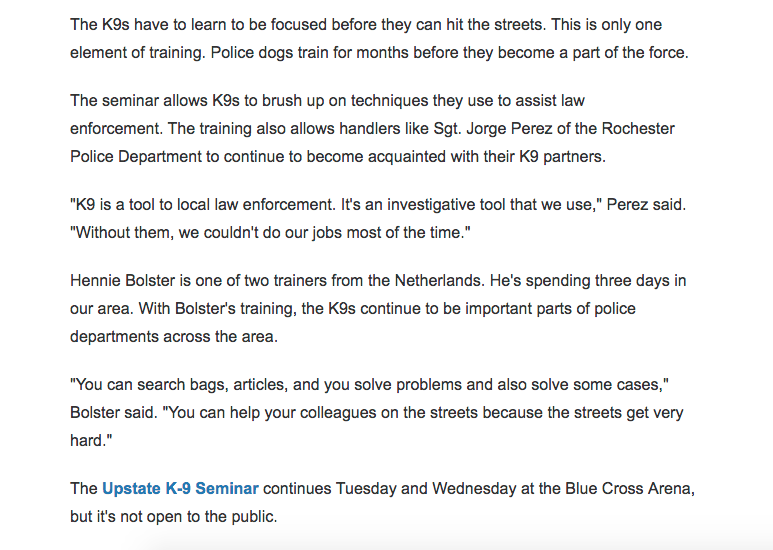 Upstate K-9 Police K-9 Seminar, Rochester NY. With Hennie Bolster & Ruud Leus. June 2018 Upstate K-9 Dogs certified!!!!!! Pleasantville NJ Police Department K-9. Fully certified 2018. 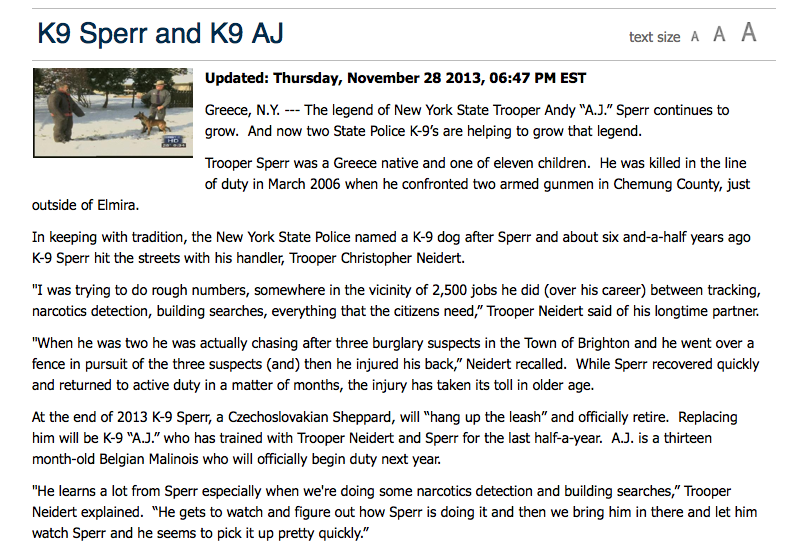 K-9 Weltz from Upstate K-9 LLC and Trooper Nolte of NYSP. VERY nice police dog show off his skills. 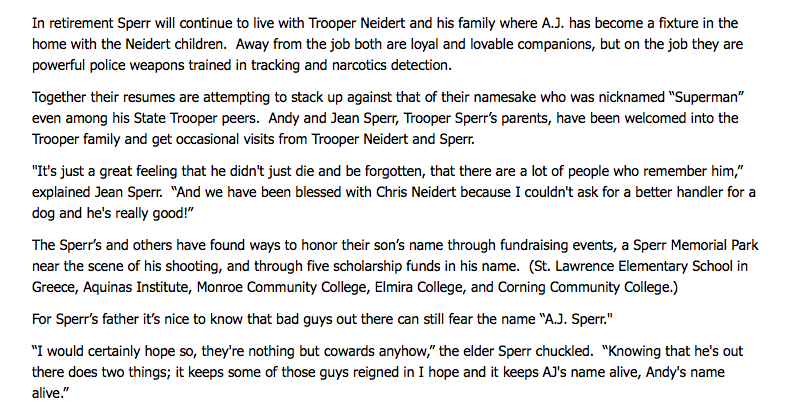 Trooper Nolte has done a great job handling such a special K-9!! 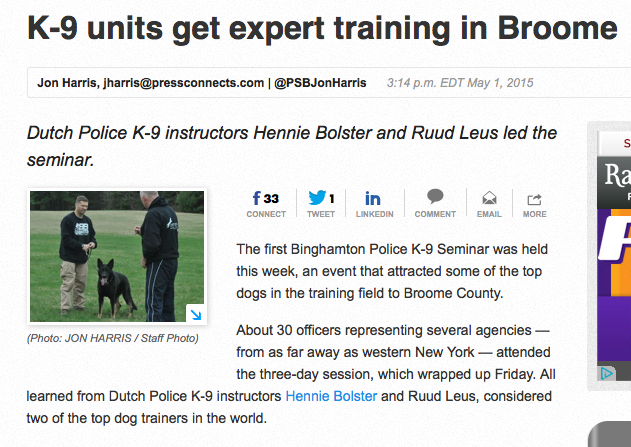 ​Proud to say these 2 K-9's were bred right here at Upstate K-9. K-9 Kiara and Sgt. Aaron Tomasini. 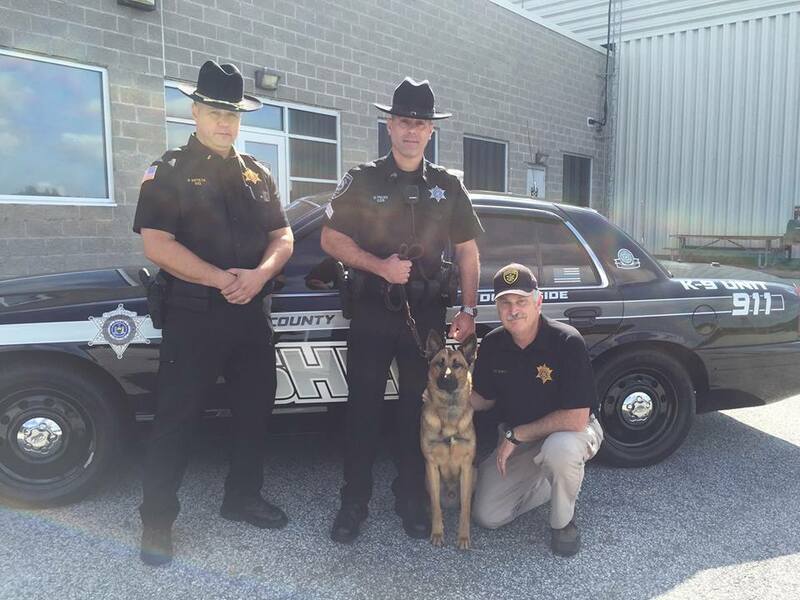 Congrats to K-9 Uno & Lt. Waldron of Franklin County Sheriffs Department MA on completing the 12 weeks K9 Narcotic Detection academy. December 2017. 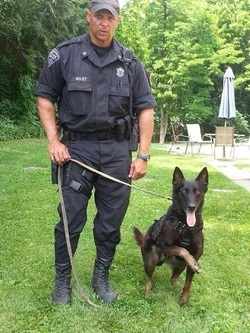 K-9 Uno & Lt. Waldron of Franklin County Sheriffs Department MA. 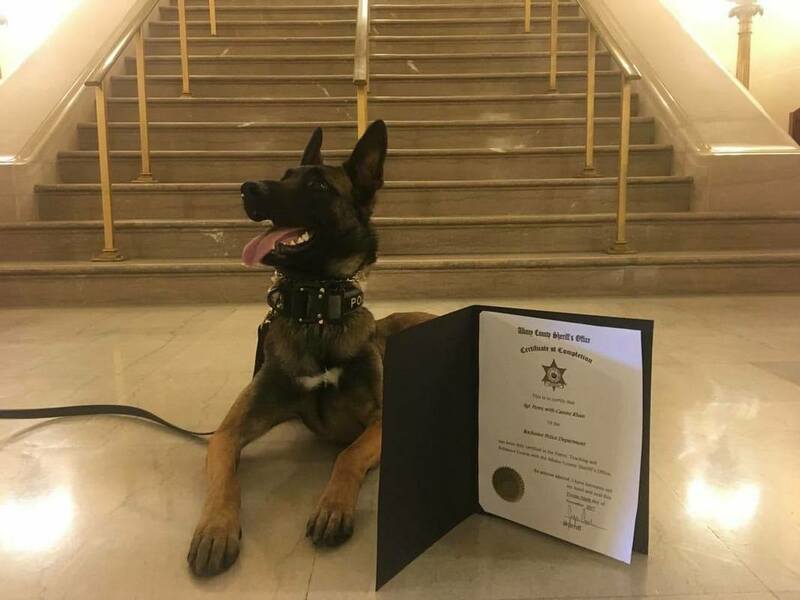 Rochester NY Newest Police K-9. RIP Officer Lehner (10/2017). 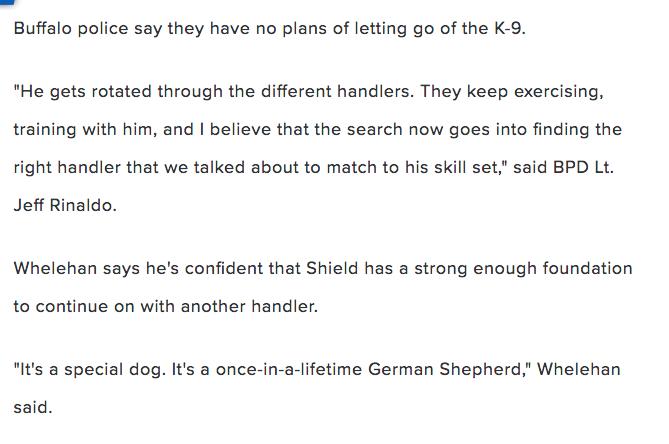 Watch over your partner K-9 Shield !!! Boyca flying high for her music video shoot. Mira on here way to get the bad guy in music video. 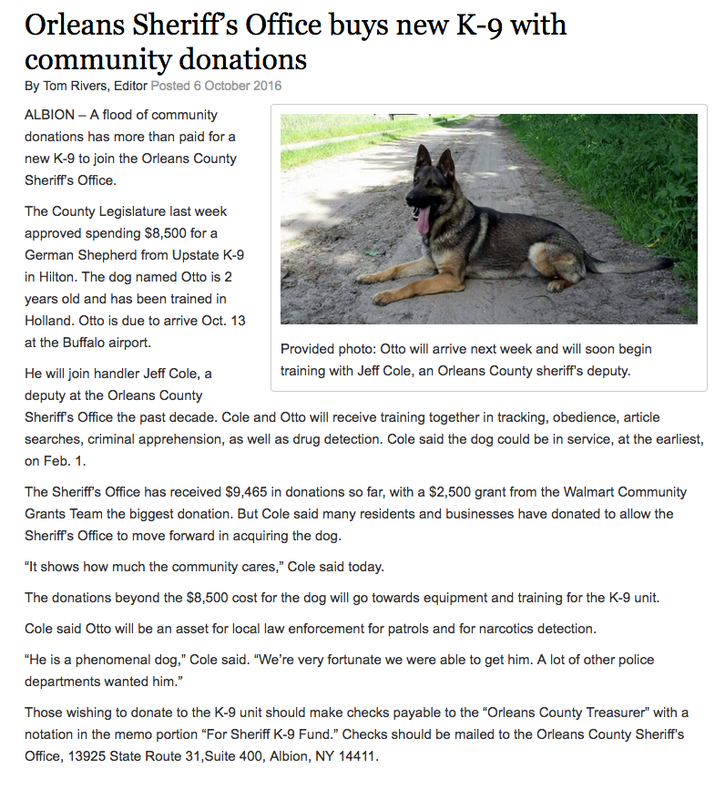 The OCSO welcomes the newest addition to the K-9 Unit. Skip is a 15 month old Malinois/Shepherd. He was purchased with funds from a grant received through the Department of Homeland Security and Emergency Services (DHSES). Sergeant Dustin Palen and K-9 Skip will be attending Explosive Detection training in the Fall and Patrol training in the Spring of 2018. Sergeant Palen chose to name Skip in memory of former Deputy Sheriff Robert (Skip) Dooley, who was a former K-9 handler with the OCSO. 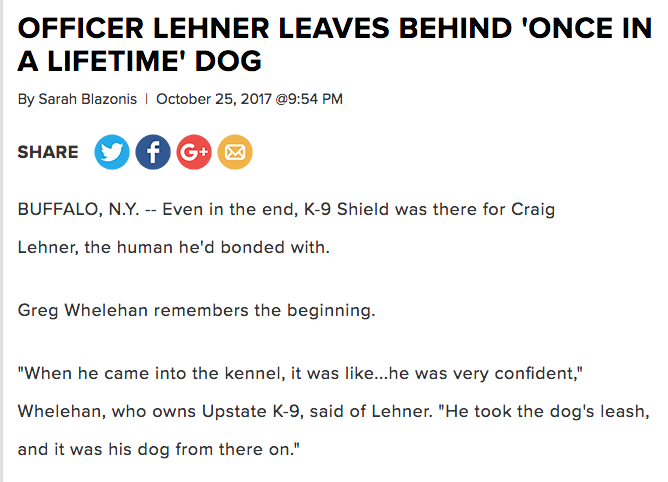 K-9 Skip is from Upstate K-9. 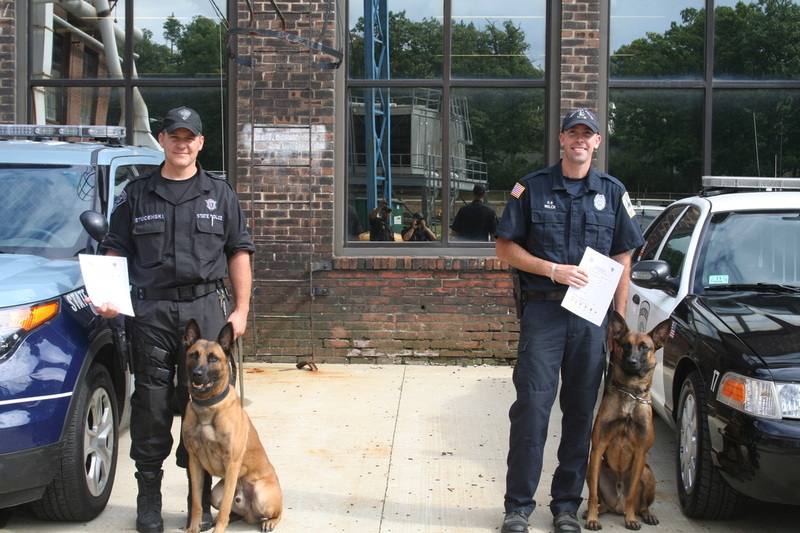 Congratulations to the two new certified handlers and K-9's from Ulster County Sheriff's Office. 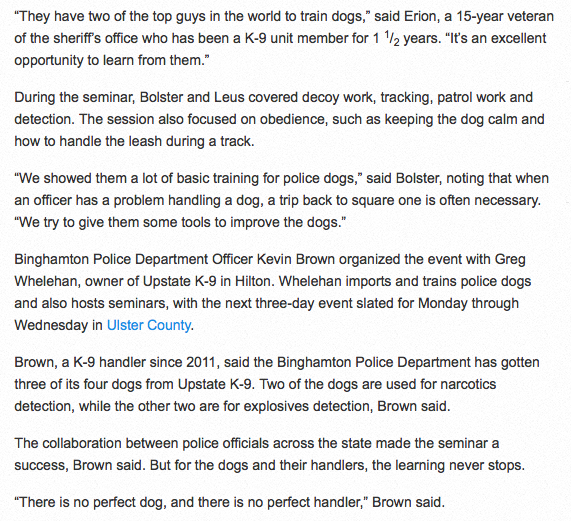 K-9 Talon and K-9 Twin are from Upstate K-9. 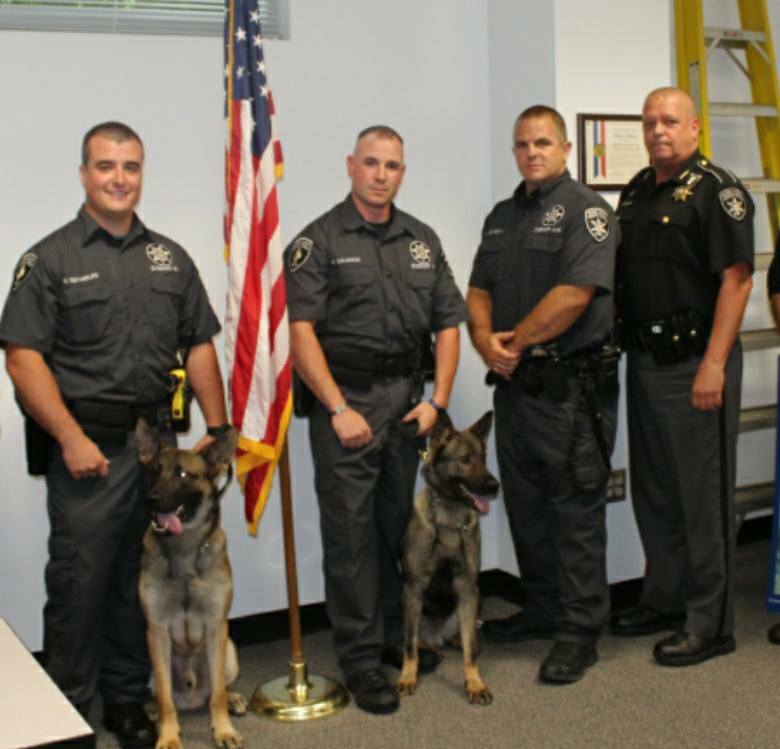 July 2017 The Ulster County Sheriff's Office added two K9 teams to the patrol division on Friday. Deputy Collin Reynolds with k9 Talon and Deputy Josh Caliendo with K9 Kwin went through a sixteen week patrol school instructed by Deputy James Slinsky. 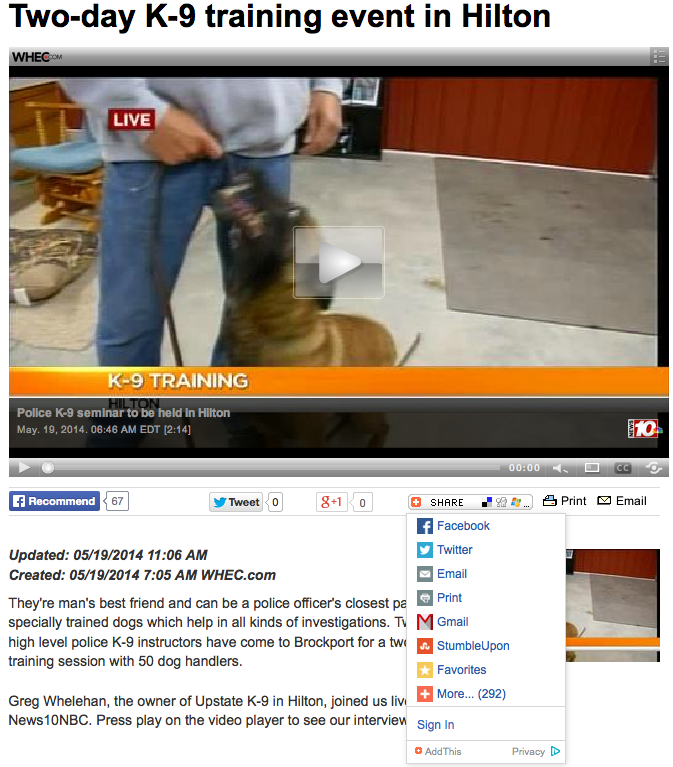 They learned tracking, obedience, article search and criminal apprehension in various situations. Salt Lake City PD K-9 Zero. Fully certified on narcotics and in Patrol. Working and learning every day!!!! 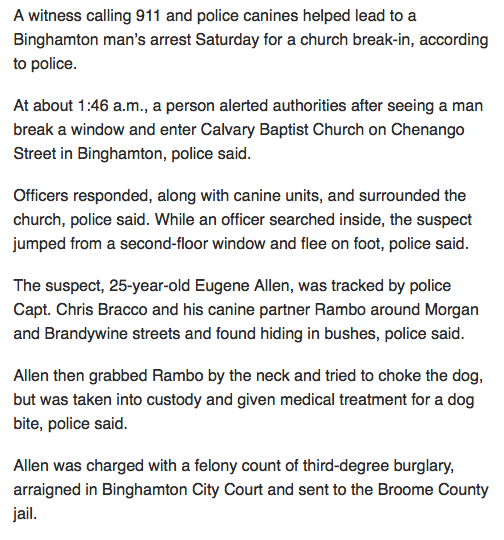 Another great K-9 from Upstate K-9. 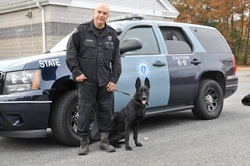 K-9 Rocky is from Upstate K-9 Massachusetts State Police Troopers Assist Locating Juveniles that Escaped from Taunton DYS Facility On Saturday, around 8:30 p.m., Troop D Communications received calls that five male juveniles escaped from a DYS Facility on the Taunton State Hospital Grounds. Troopers from the K9 Unit, State Police Middleborough Barracks and the Troop D Community Action Team responded, along with Taunton Police. Trooper Jay Vital of the K9 Unit responded to an address where a Taunton officer confronted the group, but they fled on foot. As Trooper Vital emerged from his cruiser, one of the juveniles emerged from nearby bushes and surrendered. Trooper Vital then deployed K9 Rocky at this address with Taunton officers as back up, to look for the four outstanding escapees. Rocky acquired a scent and began tracking into the backyard, over a wall and into an adjacent property. Rocky continued tracking through that yard, through a corn field and then entered the woods where he located a white shirt. Rocky continued tracking through the woods and into the rear of an apartment complex. Rocky then tracked across a street and entered a yard, then showing a strong proximity alert by barking. Trooper Vital, believing one or more of the juveniles was nearby, made K9 commands for them to show themselves. At that time, two of the escapees announced that they were surrendering. They came out from underneath a camper approximately 15 yards away from the K9 team, and were taken into custody. During the track, a fourth juvenile was taken into custody by a perimeter cruiser. A further search by MSP K9’s and Taunton K9 was terminated when information became available that the fifth juvenile had been picked up by a vehicle. Troopers from the Violent Fugitive Apprehension Section took over the investigation, who subsequently located the fifth juvenile in New Bedford later that evening. Nice work by all involved. Pictured here is K9 Rocky. 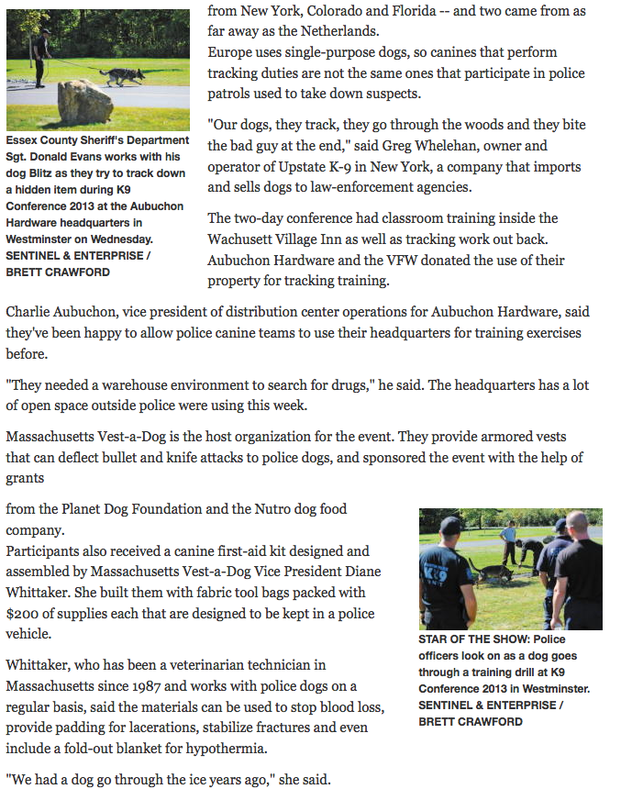 Two Teams Complete K9 Patrol Certification. 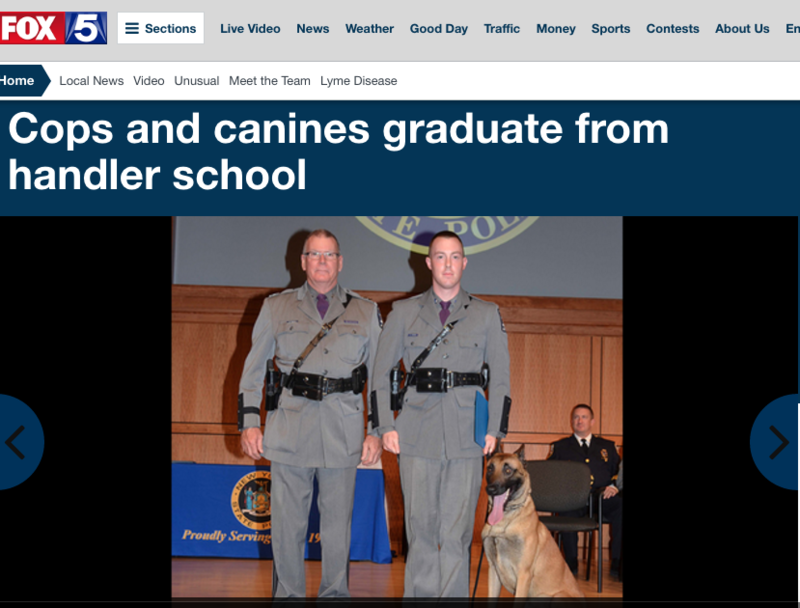 Both K-9's are from Upstate K-9. Yesterday, two teams completed thier NESPAC Patrol K9 Training certification. The class was taught by Trooper David Stucenski as the lead trainer, with Trooper Matt Donah assisting. The evaluation was completed by Tfc. Gary Ingham of the New Hampshire State Police. Pictured here are the two new teams: Left: Trooper Andrew Martindell and K9 Tucker Right: Trooper Kyle Kilimonis and K9 Boomah Congratulations! 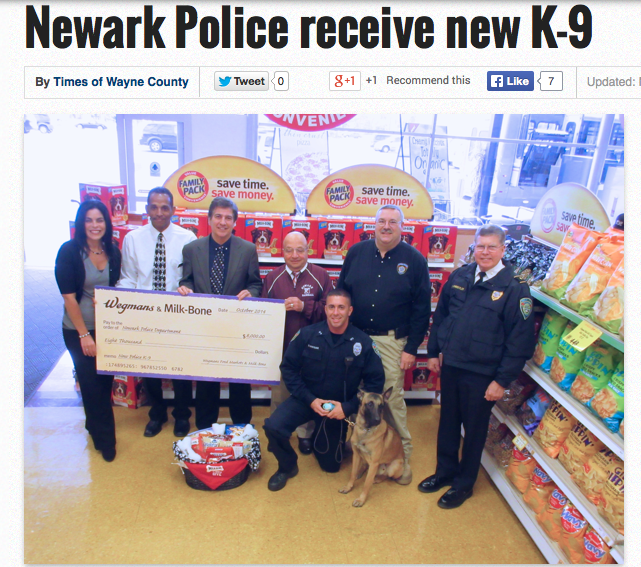 2 more SUPER K-9 teams hit the streets. 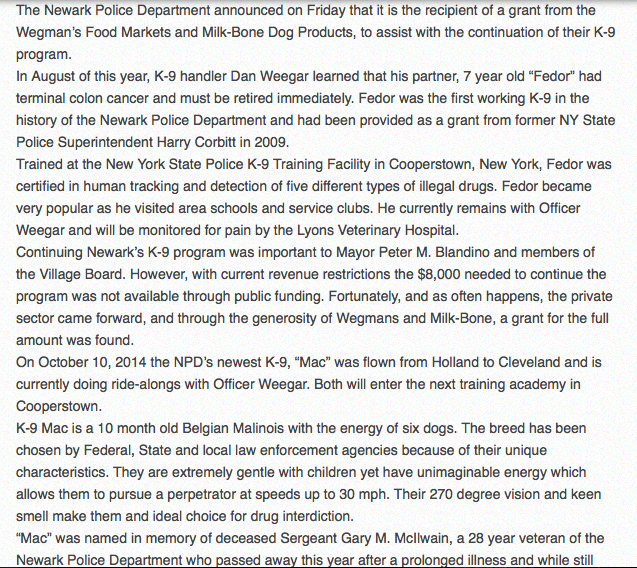 Both K-9's were sold by Upstate K-9. I am really proud of both handlers. 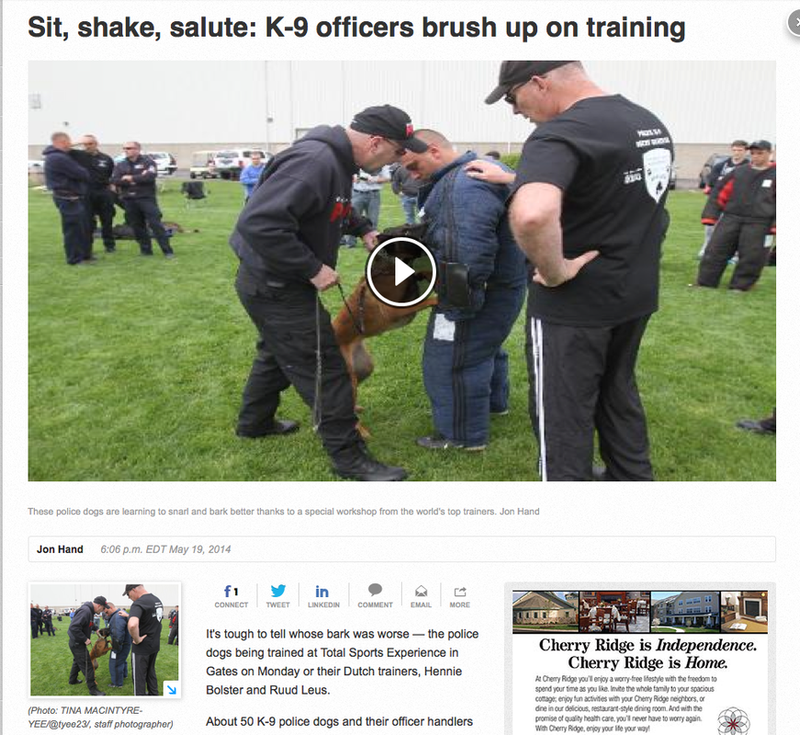 These 2 K-9's are top quality and true police dogs. 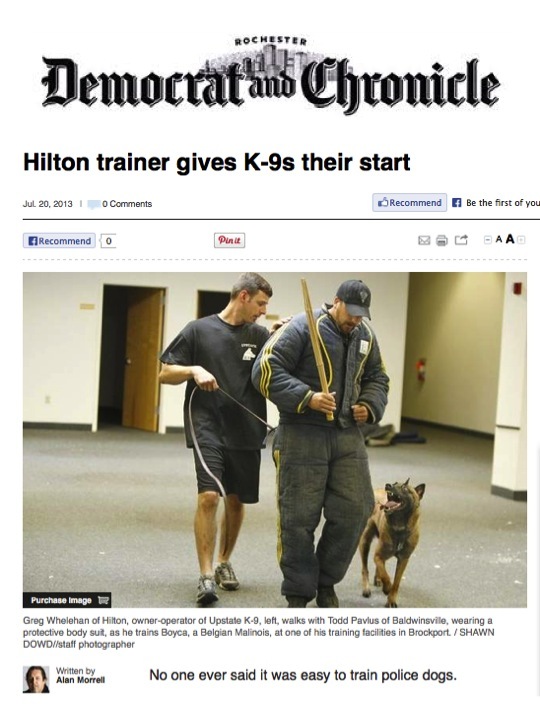 To both K-9's, handlers and also there instructor GREAT WORK! Stay safe out there. 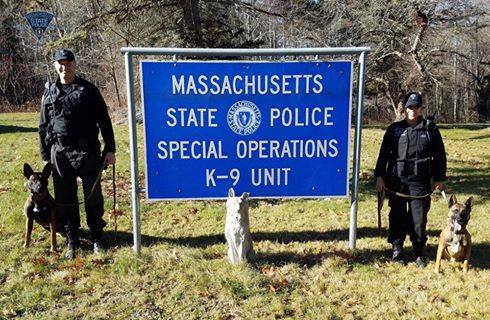 Massachusetts State Police November 23 at 4:00pm · Congratulations to Two New K9 Teams Today, two new K9 teams graduated from NESPAC Patrol Certification, which was conducted by the New Hampshire State Police. 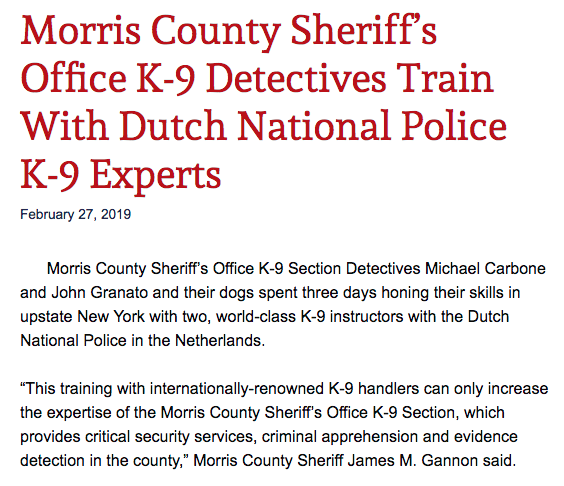 The fourteen-week school consisted of learning the skills of obedience, tracking, agility, building search, evidence recovery, and apprehension. 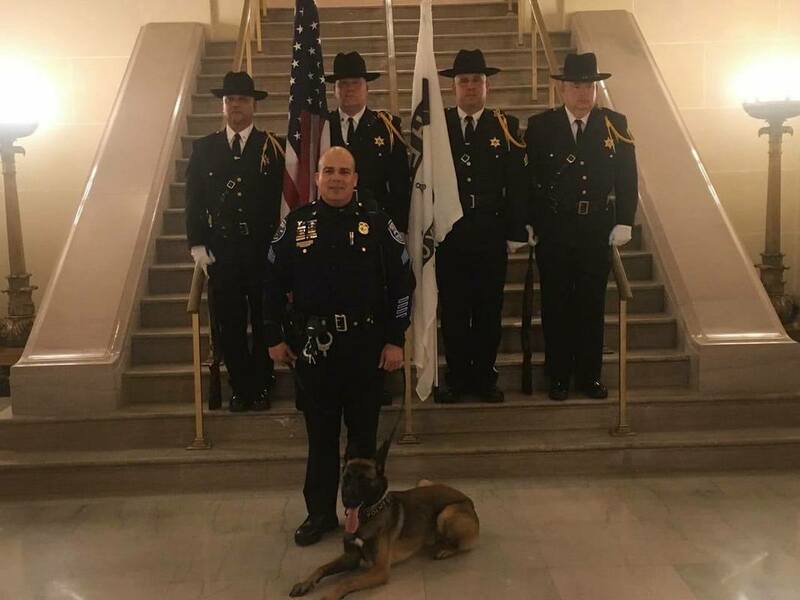 Congratulations to Trooper Steve Burgess and K9 Lennox of the K9 West Team, and Trooper Leigha Genduso and K9 Bolo of the K9 East Team. K-9 Scott AKA PJ imported by Upstate K-9. 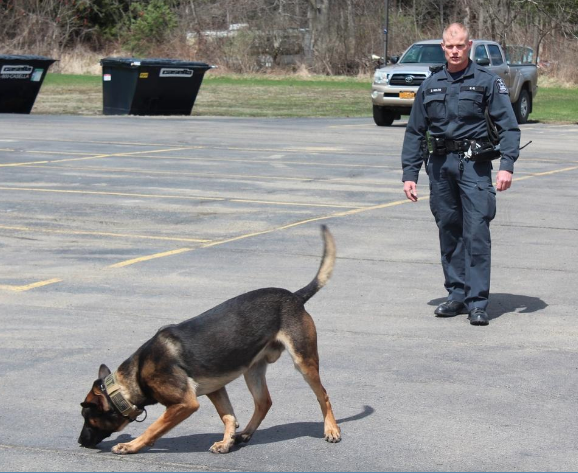 Now a dual purpose K-9 with NYSP. Netherlands 2014, with Dutch Police K-9 Handlers Hennie Bolster, Ruud Leus, Mass. 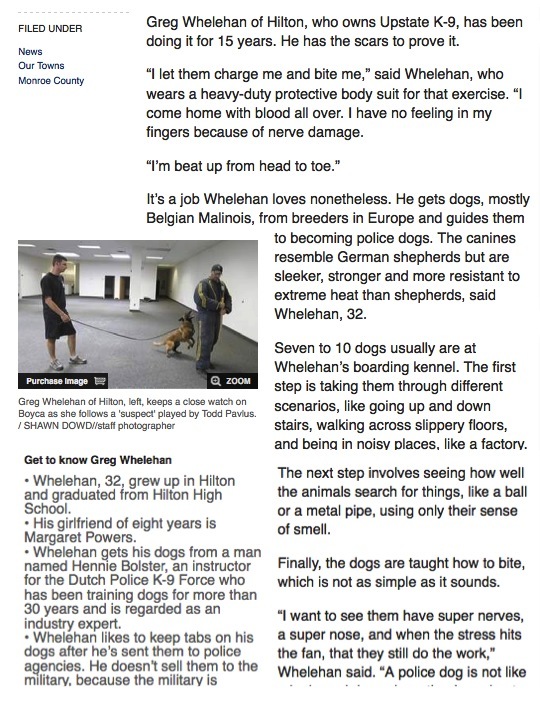 K-9 Handler D. Stu and Hans Pegge of PeggePolice dogs, Holland. Big Roy 2013 Dutch KNPV Champion also pictured. 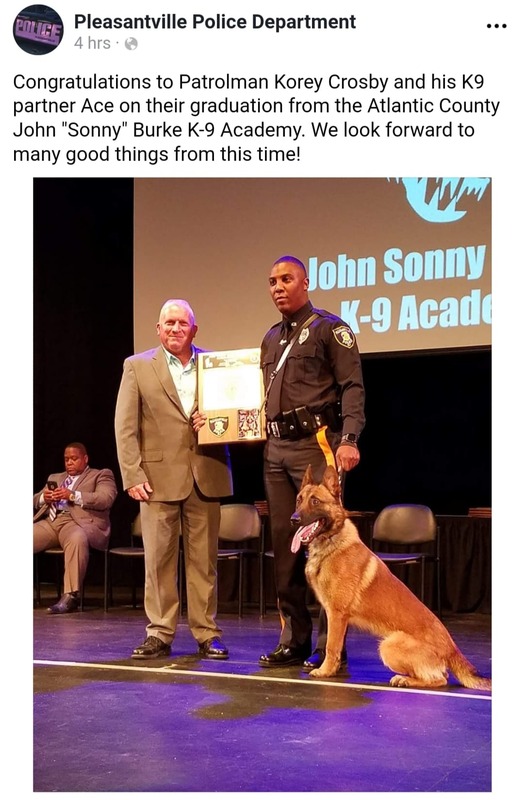 Congratulations K-9 Fenix and Sgt. Molet also on their patrol certification last week. 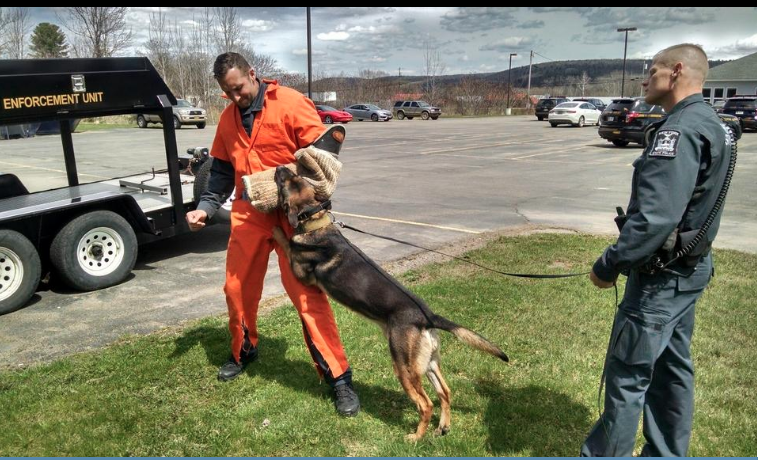 Fenix (aka Rico) is by far one of the strongest dogs Upstate K-9 has seen come through our kennel. Sgt. Molet did a great job training him to where he is today. K9 Fenix First Day on Patrol Ends with a Capture in Ware. An operator wanted on warrants fled a motor vehicle stop in Ware. A local witness reported seeing the wanted subject jump a fence running west. The K-9 team arrived; Sergeant Jerry Molet deployed K-9 Fenix and tracked through a property, then into a heavily wooded area. The subject eventually exited and surrendered to the officers on perimeter as Fenix was closing in. Pictured here is Sergeant Molet with Fenix. K-9 AJ is from Upstate K-9, now working for NYS Police. Rambo - police dog demonstration A press conference today introduced police dog Rambo, who is now officially on duty for the K9 units of the Binghamton and Johnson City police departments. 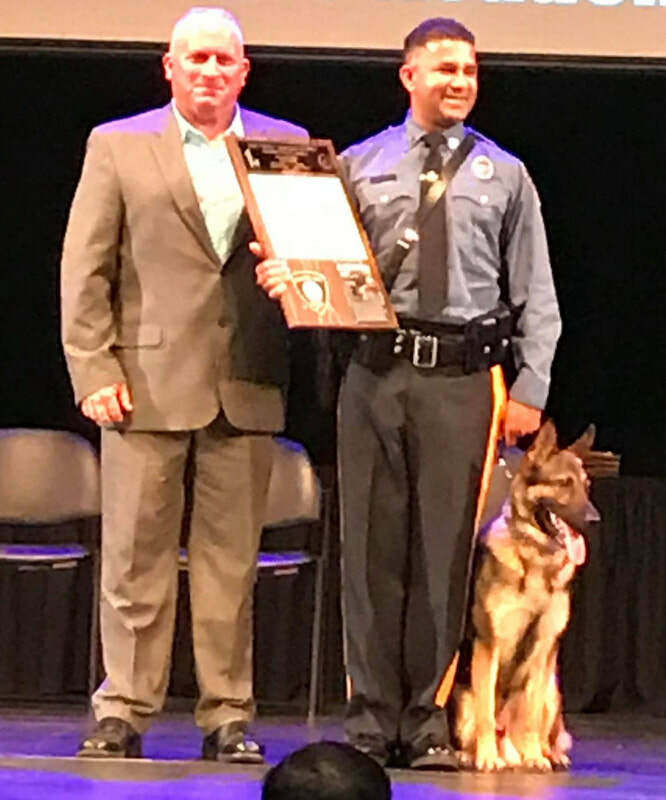 The Community Foundation established a fund for the police dogs, and major donors, including Sentry Alarms president Jean Levenson, were invited to attend. 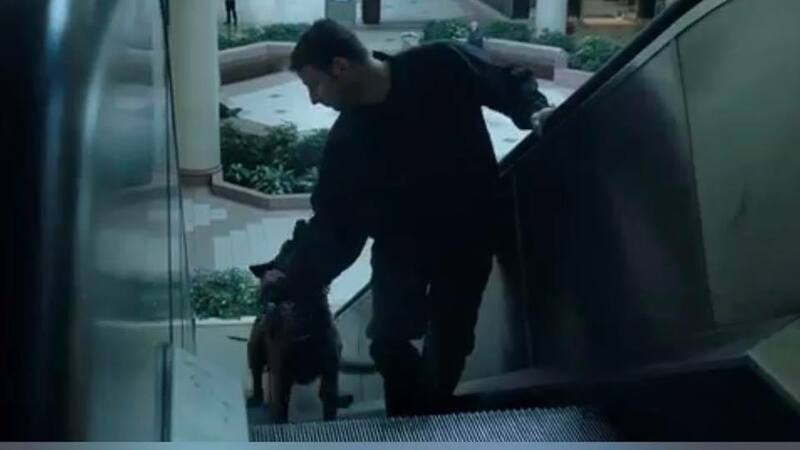 BPD Captain Chris Bracco did a demonstration where he had Rambo chase down a suspect, who was running and then held in place by the dog. Here's a video of the chase - and we'll post more photos from the press conference tomorrow. Early this morning, just after midnight, Northboro Police requested assistance with locating two subjects that ran from a car involved in a car crash. The two subjects ran into the woods from the one vehicle crash upon the arrival of Northboro Police. Trooper George Demos and K-9 Cayman responded to assist them. Cayman acquired a track and tracked through the woods. Cayman then tracked to a neighborhood. Cayman tracked to a residence porch, where a female was found behind an outside central air conditioning condenser. The female was then taken into custody without incident and turned over to Northboro Police. 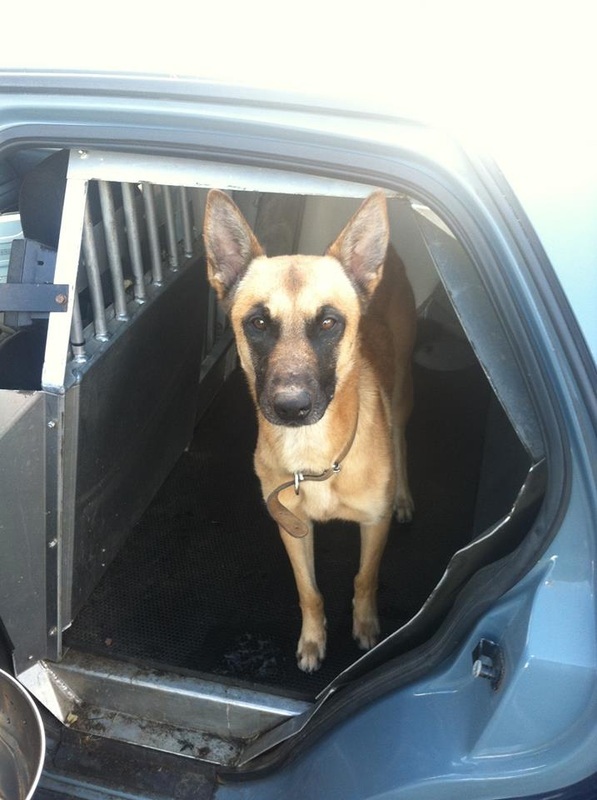 Cayman is a 2 year old black Malinois/Dutch Shepherd mix. Yesterday, Pepperell Police requested assistance with locating a 22 year old man who was wanted after an altercation which resulted in an assault and battery on a 50 year old man. 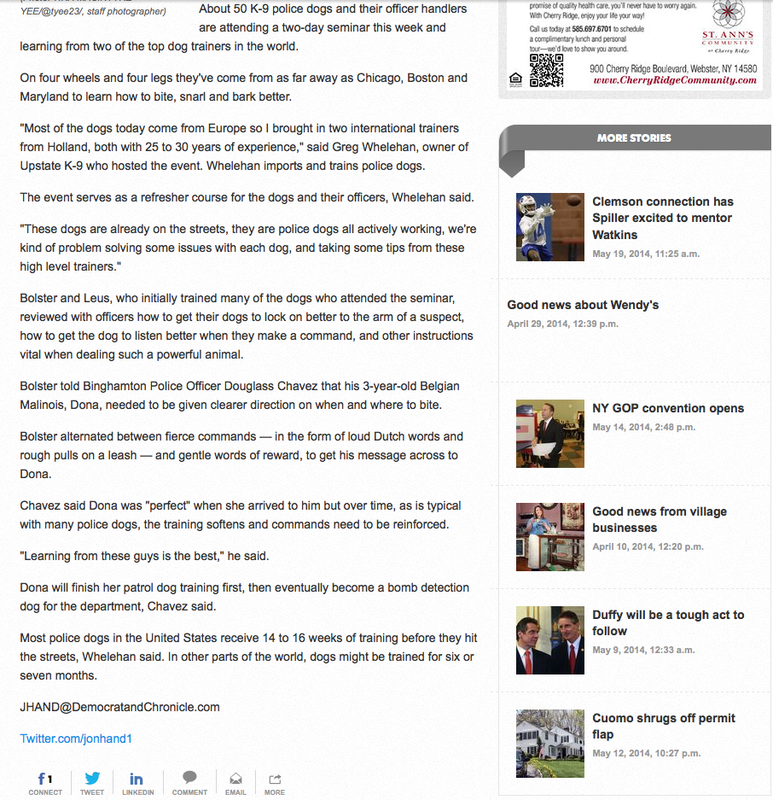 Massachusetts State Police K-9 Unit was asked to assist Pepperell Police. Trooper Scott Davis along with K-9 Daisy responded to assist them. Daisy began a track of the neighborhood searching for the suspect. Daisy led Trooper Davis directly to the suspect, who was hiding under a boat and trailer. The suspect was taken into custody and turned over to Pepperell Police. 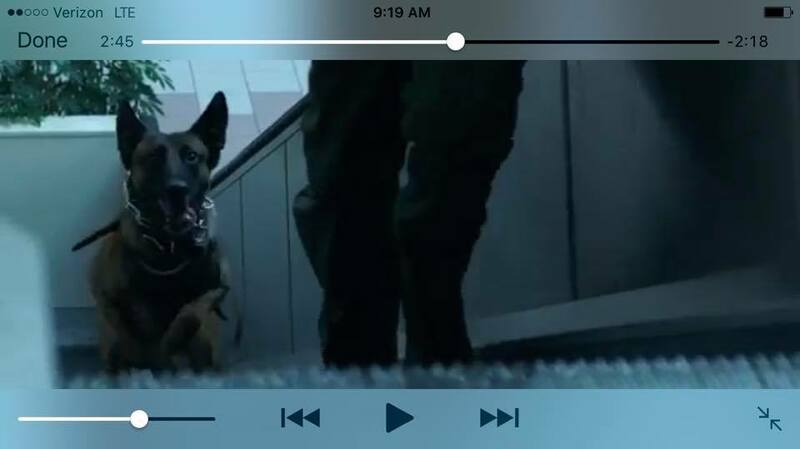 K-9 Daimon is from Upstate K-9. 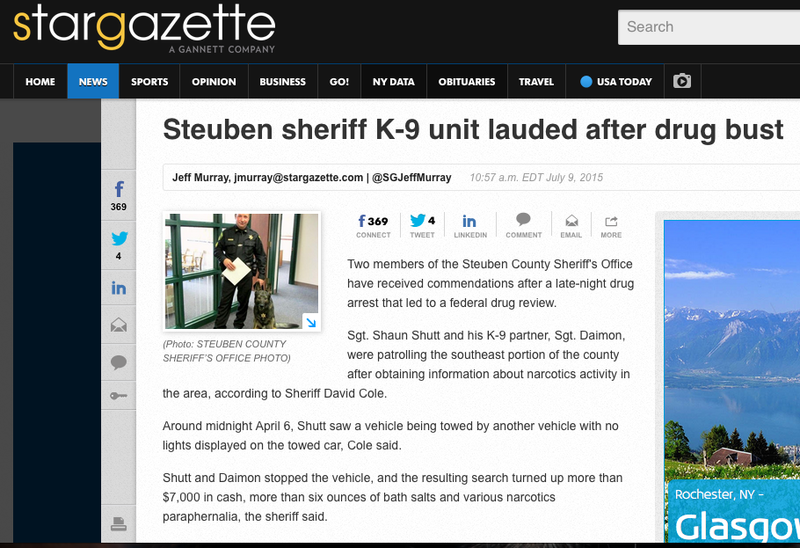 Very proud of Steuben County Sheriffs Office & his new handler.